It was reported earlier this week that One Direction may face a lawsuit against Def Leppard due to alleged similarities between the group's hit song "Midnight Memories" and rock legend's 1987 anthem "Pour Some Sugar On Me." Def Leppard guitarists Phil Collen and Vivian Campbell have now confirmed to Billboard that the band will not be taking legal action and Collen even described both the songs as "very similar in structure" but nothing more. You can read what the two guitarists had to say below. "The chords are one-four-five," Campbell tells Billboard. "Those are the blues. You don’t get more basic than that. I think what’s more reminiscent of the Leppard thing is the production, the sound, the vocals, the reverb and the way it’s assembled." "That is very flattering that all of a sudden these kids think it’s a cool sound. I think a lot of people of their generation aren’t going to connect their music to ours." But this isn't a matter like, say, Robin Thicke's "Blurred Lines" vs. Marvin Gaye's "Got to Give It Up," according to Collen. "That’s different," he says. "In fact it’s got the mayonnaise jar and people hooting in the background which Marvin Gaye had. I don’t see that you can do that. 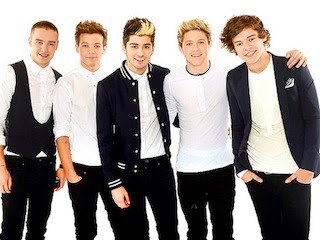 The One Direction one is very similar in structure, but it’s all good."